If you’re ready to learn more about your ability to purchase a home in South Orange County, call me, text me, or shoot me an email. Then, let’s go house shopping! 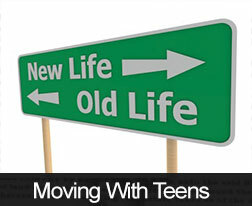 Moving to a new city is always exciting but offers challenges like this one for families. For more advice on moving to ( Or moving from.) a new South Orange County home, give me a call or text – 949-887-5305, or shoot me an email at BobPhillipsRE@gmail.com. According to the S&P Case-Shiller 10-and-20 City Composites, home prices fell approximately 26 to 27 percent from their highest in June 2006 to their lowest in March 2012. As of April 2013, average home prices had recovered by 13.10 percent for the 10-City Composite and 13.60 percent for the 20-City Composite. While rising mortgage rates and home prices may slow demand for homes, economists don’t believe that either factor will halt the housing recovery. A good next step is to give me a call, or to shoot me an email, to talk about about current home values and loan options in and around South Orange County. “On Wednesday, June 19th, the Federal Open Market Committee met and released to the markets their intentions to limit their $85 Billion a month subsidy of interest rates. Since that date mortgage backed securities have risen approximately one-percent causing a selloff in the stock market and disruption to buyers wanting to purchase or refinance. There is a big concern with real estate agents and homebuyers as to the overall effect and if the recent Case-Shiller Housing Report of a 12.1% increase April over April will be dampened. There is a saying that the best way to judge the future is to examine the past. “Look at 2003 to 2008 and you will see, during the boom years of the housing bubble, interest rates were in the 6% range. From 2009 to now you can see how rates declined due to the Federal Reserve Board easing to assist with the housing crisis. As the housing market continues to recover over 2014 and 2015 interest rates will return back to the 5% to 6% range as the subsidy is removed from the system. While we have experienced historical lows in interest rates over the last 3 years, it’s hard to say in a relative terms, interest rates are bad, when you review this chart“. Kevin Budde, of Prime Lending has been one of my preferred lenders for more than 25 years. I wholeheartedly recommend his team, here in South Orange County. Texas Governor Rick Perry has been touring the country, urging companies to move to Texas for low taxes and business-friendly regulation. Perry’s right that Texas has been growing like crazy, adding jobs and population even at a time when the national economy has written. But he’s not exactly right about why. I sat down with Jed Kolko, Chief Economist at Trulia, to discuss the biggest reason people move from California to Texas: Cheap housing. It is usually more important to deal with these pressing financial issues before attempting to save money on your mortgage. One great way to start your research on how to pay your South Orange County home off faster is to talk with your trusted mortgage professional. ( If you don’t have such a person, I have a couple who I can wholeheartedly recommend.) 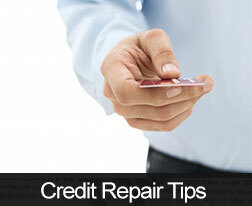 They can answer your questions and point you in the best direction for your situation. Comments by Fed chairman Ben Bernanke after Wednesday’s FOMC meeting caused havoc in financial markets as investors anticipated the potential effects of any rollback of the Fed’s policy of quantitative easing (QE). Chairman Bernanke said that the Fed may begin reducing its $85 billion monthly purchase of Treasury securities and MBS toward the end of this year. The chairman made it clear that any decision concerning QE would be based on careful review of current and developing economic conditions. QE is intended to keep long-term interest rates low; any reduction of the QE securities purchases could cause mortgage rates to rise. 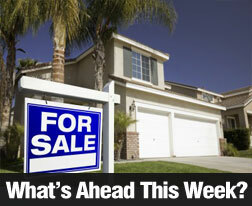 The week’s other economic news included more good news for housing. The NAHB/WF Housing Market Index for June came in ahead of expectations at 52, which surpassed the expected reading of 45 and May’s reading of 44. Any reading over 50 indicates that more builders surveyed believe that housing market conditions are positive. Tuesday was busy for economic news. The Consumer Price Index for May rose from April’s reading of –0.40 percent to +0.10 percent in May, which was below expectations of +0.20 percent. The Department of Commerce released its Housing Starts Report for May; the reading for May missed expectations of 953,000 housing starts and came in at 914,000 which exceeded April’s 856,000 housing starts. Increasing the number of available homes could help steady recently increasing home prices, but existing homes remain in short supply in many areas. 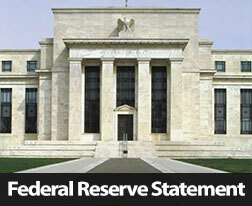 Wednesday’s news involved the Fed’s FOMC meeting and press conference. The Fed stated after the meeting that it expects moderate improvement in economic condition and noted that housing, which was a primary cause of the economic downturn, is now leading the economy’s recovery. Freddie Mac reported that the average rate for a 30-year fixed rate mortgage fell from 3.98 percent with 0.7 percent discount points to 3.93 percent with borrowers paying 0.8 percent in discount points. The average rate for a 15-year fixed rate mortgage fell from 3.10 percent to 3.04 percent with 0.7 percent in discount points for both weeks. Investor response to the Fed’s mention of possibly reducing its QE program is likely to send mortgage rates up next week. The National Association of REALTORS® released its Existing Home Sales report for May. Existing home sales came in at 5.18 million and beat projections of 5.00 million and April’s sales of 4.97 million existing homes. Increasing sales of existing homes is good news as demand has exceeded supplies of existing homes in recent months. 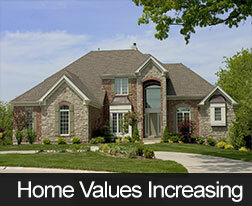 High demand drives up home prices and impacts affordability along with rising mortgage rates. Next week’s scheduled news includes a number of housing related reports, FHFA Home Prices, the Case-Shiller Home Prices Report and New Home Sales are set for release Tuesday. The Gross Domestic Product Report comes out on Wednesday. On Thursday, data for weekly jobless claims, consumer spending and pending home sales will be released. Friday brings the Chicago Purchasing Managers Index and the Consumer Sentiment Index. The data released in these reports will continue to inform the Fed’s decision-making with regard to bond purchasing and interest rate policy. It’s possible though, following the aggressive market sell-off activity from last week, that we may see a softening in long-term rates over the course of this week. Before you rush out to buy a home, consider the fact that inventory levels are beyond dismal at the moment, though there’s a good chance that could all change rather quickly. If you’ve already begun your property search, you probably already know inventory is virtually non-existent in your desired neighborhood. If you haven’t, prepare to be shocked. There’s even concern that the shortage of inventory could be further exacerbated by the recent surge in mortgage rates, as would-be buyers jump off the fence and rush to buy before affordability gets any worse. But I don’t believe things will go that way – in fact, I think it’s going to be quite the opposite. 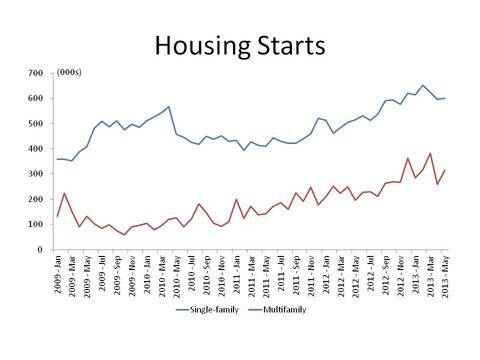 And there are already signs that housing inventory is rising. A recent report from Redfin revealed that active listings increased 6.4% between March and April, and 4.2% between April and May. 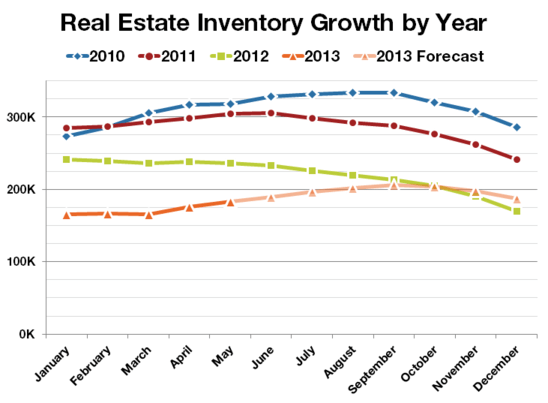 Compare that to last year, when inventory peaked in January and drifted lower much of the year. Assuming more homes keep hitting the market, year-over-year levels of inventory may actually be positive at some point this year. Here’s an oldie but goodie. As home prices continue to increase, more and more homeowners will get back in the black. We all know scores of homeowners are stuck with underwater mortgages, but many of those who held on are now finding themselves with some sliver of home equity thanks to recent hefty home price gains. Additionally, a lot of the mortgages on these properties were taken out in 2005-2006 or earlier, so for those who didn’t go with an interest-only loan, a decent chunk of the mortgage is already paid off. As time goes on, this trend should become even more prevalent, and many of these homeowners just want out. 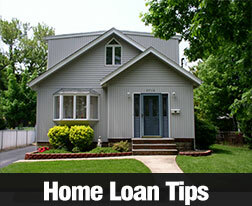 They aren’t necessarily looking to turn a profit; they just want to avoid a short sale or foreclosure. Sure, some will argue that they’ll need “X” amount of home equity so they can purchase another home after they sell, but plenty of owners may decide to downsize, or simply rent instead. Not everyone is so bullish on housing, and with interest rates rising, existing homeowners know today is a great time to sell, especially with bidding wars forcing prices up to future levels. After all, it will be a lot easier to sell at a premium now, and with far less scrutiny, when inventory is still low. Another interesting trend of late is the rise in foreclosure activity, which was steadily falling up until last month, according to RealtyTrac. After hitting a six-year low in April, foreclosure activity increased two percent in May, thanks to an 11% rise in bank repossessions. 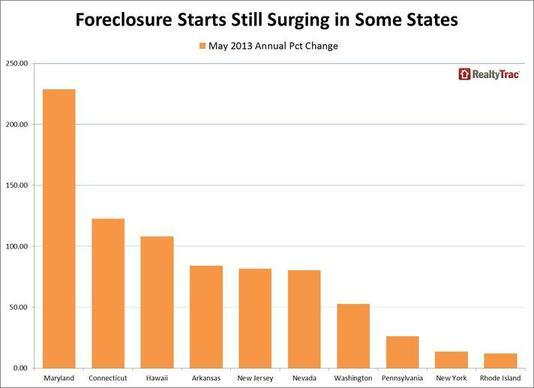 Foreclosure starts increased four percent from April, and rose substantially in judicial states, where the process takes a lot longer. Still, it looks like lenders are beginning to cut through the red tape, with foreclosure starts up 229% in Maryland, 122% in Connecticut, 108% in Hawaii, 84% in Arkansas, and 82% in New Jersey from a month earlier. Foreclosure activity increased to a 33-month high in Maryland and a 20-month high in hard-hit Nevada, and Florida saw a 20% monthly rise in foreclosure activity, meaning there will be much more distressed inventory making its way to market. The takeaway here is that as home prices rise, banks and lenders will actively pursue foreclosure because they know the demand is finally there to offload the properties. This has been a concern for years, with many pondering when the banks will dump their massive distressed inventory, which continues to grow. Though they’ve held on for quite a while, it could soon be time for them to ditch their stable of homes and get back to what they do best, banking. And they could begin to do it a lot more quickly, seeing that home prices have chalked some massive gains of late, especially if the housing rally doesn’t have the legs many think it does. Banks aren’t typically in the business of acquiring and selling residential real estate, so if they can get out at a decent price, they probably will. Unfortunately, if they all get the same idea at once, it could spell disaster for the recent home price gains. At the same time, many of those who purchased properties on the cheap lately were Wall St. investors and hedge funds, such as Blackstone and Colony American Homes. As home prices rise, they will probably do two things that will hurt the residential real estate market. For one, they will stop buying houses, seeing that they’re in it strictly to make a certain return in a relatively short period of time. If the price point isn’t there anymore, they’ll stop buying, point blank. At the same time, they’ll begin dumping their properties for tidy profits to mom and pops that missed the housing bottom. This could get nasty, seeing that these hedge funds purchased a ton of single-family homes over the past few years. And we all know how Wall Street works – pump and dump, with no concern for collateral damage. While existing housing inventory increases, so too will the number of new homes built. Yesterday, the Census Bureau revealed that single-family permits increased 1.3% to 622,000 units in May, the highest level in five years. At the same time, builder confidence for newly-built single-family homes surged eight points to a reading of 52 on the National Association of Home Builders/Wells Fargo Housing Market Index (HMI), the first time it has been over 50 since April 2006. NAHB Chief Economist David Crowe said the report is in line with expectations for a 29% increase in total housing starts this year, which will see them top the one million mark for the first time since 2007. In other words, home builders are gaining confidence and getting back to work. New developments will be sprouting up all over the place as demand for homes continues to increase. Of course, it’s just a matter of time before they build too many homes and repeat history once again. But hopefully that’s a long way out. By the way, mortgage rates are only expected to rise about a half a percentage point or so between now and the end of 2014, so why fight tooth and nail for a home today, especially with future home price gains already baked in? Patience may be the play here if you want to land a property you actually like.